David is one of the top caricaturists around. Fab, Fast and Fun Caricatures in Maidstone. From table hopping at Weddings, Walkabout Artist at Award Ceremonies to a Event Cartoonist at a 50th birthday blast and loads more. He’ll humour your guests, and capture convincing funny faces in minutes. Conversation piece! Groves Caricatures (best known as Dave) is available for hire at weddings, parties and events in the Maidstone area, Bearsted, Ditton, Snodland,and the countless scenic villages nearby, and the bigger towns of Sevenoaks, Orpington, Rochester, Chatham and Gillingham and throughout Kent. A few venues recently visited for caricatures are the Tudor park in Maidstone, as well as the Orangery and Oakwood House. Knowle Country House in Higham, Leeds Castle and Halden place in Cranbrook. Northfleet, Swanscombe, , Sittingbourne, Sheppey. and throughout Kent. A few venues recently attended to draw caricatures in the nearby Gravesend area are at the Lordswood social club in Chatham, the Conniston Hotel in Sittingbourne. Several times at Cooling Castle in Rochester, Jools Holland lived next door. The there’s been weddings St Georges Hotel in Chatham and Southern Valley Golf Club in Gravesend to name a few. 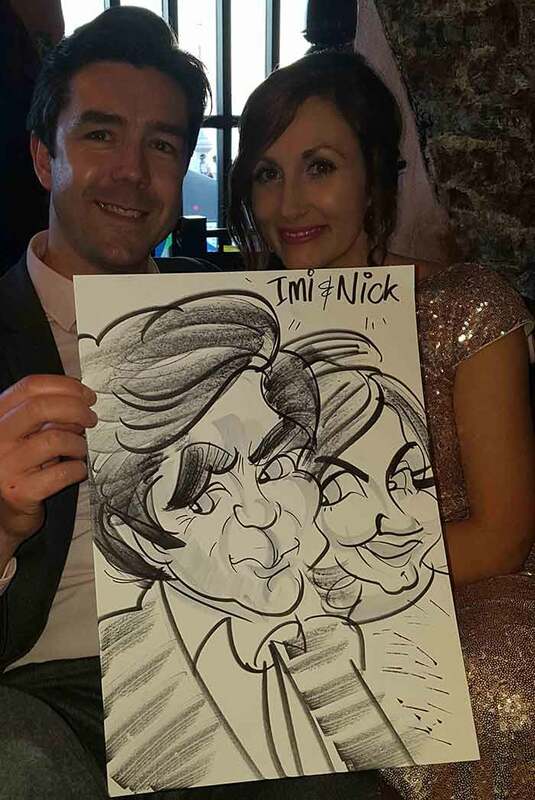 Caricature Entertainment for hire at weddings, parties and events soutt west of Maidstone in the Tunbridge Wells area, Tonbridge, Sevenoaks, Pembury, Paddock Wood, Headcorn, Staplehurst, Cranbrook, Wadhurst, Crowborough, Heathfield etc. A few venues recently attended to draw caricatures at in the Tunbridge Wells area include regular visits to The Spa Hotel and High Rocks Hotel in Tunbridge Wells, Poult Wood Golf Centre in Tonbridge, the Bell Pub in Ticehurst. Also Hever Castle, one time I drew Clare Balding at Hever Castle as she was a guest at a wedding and Herstmonceux Castle are fairly nearby. There’s the lovely Salomons estate in Southborough, and a cracking Christmas party at The Tunbridge Wells Hotel in the Pantiles. 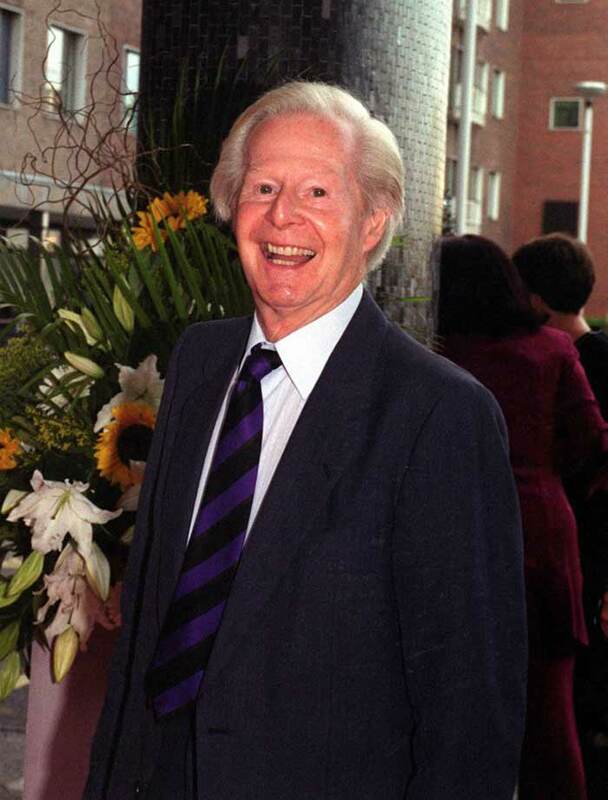 The artist Tony Hart was a Maidstonian – meaning he lived in Maidstone. Tony was the presenter of Hart-Beat and was an inspiration to me and so many children particularly as Tony made art fun and exciting. Tony Hart had a career spanning over 50 years presenting art on TV and the animation of Morph was his own creation. I was fascinated to learn that his move into TV happened by chance where he met a BBC producer and he drew a cartoon fish on a napkin and the producer was very impressed. If only all chances and interviews could be that simple. I went to the University of Kent myself and studied a course in Illustration. Oakwood Park opened its doors in 1967 but sadly closed in 2012 and ceased as an Art School but the campus at Maidstone itself has helped some greats Artists. Tracey Emin studied Fine Art in Maidstone. Martin Handford, the creator of ‘Where’s Wally’ also studied Illustration at Maidstone. Rumour has it that ‘Where’s Wally’ was actually one of the tutors at the college. I think I know who! Tony Hart’s humble beginning started at Maidstone College. Tony used to visit the Art shop in the town near East Worthing Station, and I remember the staff being thrilled on one occasion where he’d just bought some art bits from there. The Woes of now finding a decent Art Shop is an issue I often struggle with. With buying online now, Art shops are closing, and the trouble is you need to test things before you buy them. It’s ok if you live near a big Hobby Craft. Tony Hart passed away in 2009 but a curious incident happened on Twitter and other social media in 2015 when sudden out-pouring’s of tributes were shared online. #RIPTonyHart and this obituary was retweeted where people hadn’t realised it had passed years ago before.